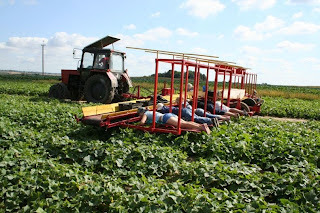 What do those people do? 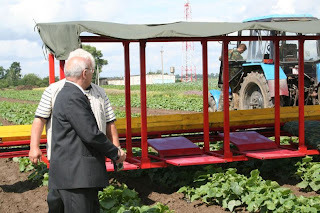 They implement new technology in agriculture. 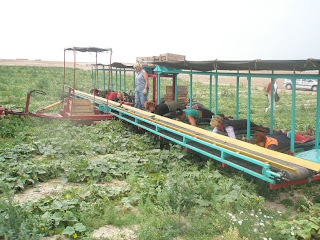 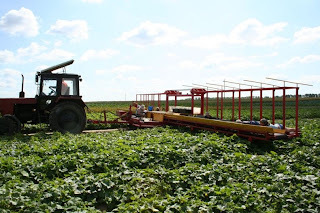 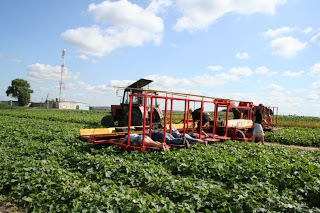 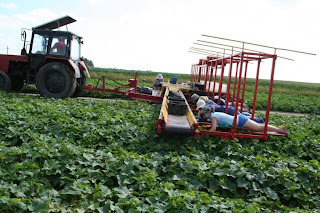 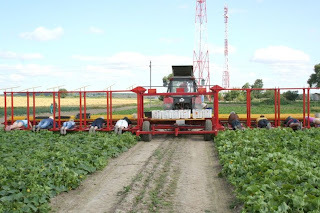 It consists of one tractor riding by the road in the middle of the cucumber field and carrying up to ten people by both sides of the thing that its towing. 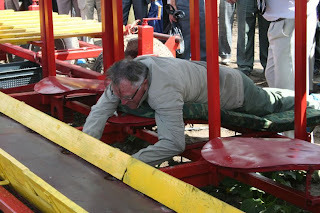 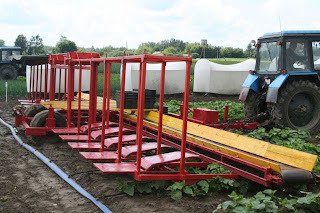 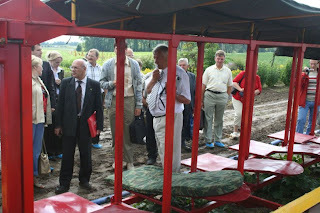 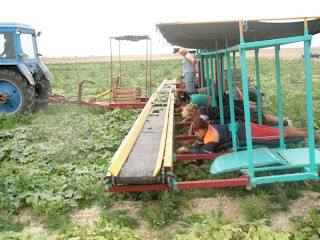 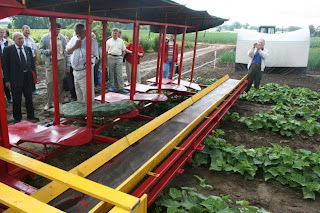 People lay on it and pick up cucumbers on the go then putting them on the moving transporter which collects cucumbers to the central storage.